An Aquila Vessel & 10,000 Crowns! Enter For Your Chance To Win An Aquila Vessel! As part of the Aquila Celebration One-Eyed Jack sent us 2 Game Codes for a Grand Prize Giveaway! Back on June 01, we announced our upcoming Aquila Celebration Contest. 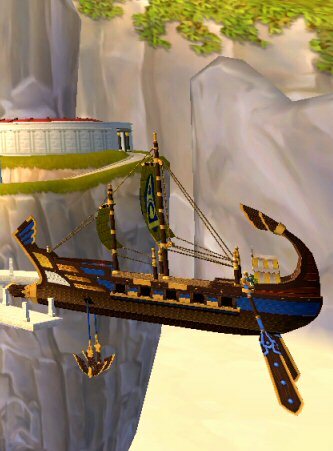 In that announcement we told you about the daily game codes that provided 2,500 crowns and a Heroic Rudder, which is a piece of Aquila ship equipment that has not yet been released in the Crown Shop. But we also told you at the end of our contest, you’ll be able to enter for your chance to win a “Grand Prize” code for the month! This code is good for the unreleased Aquila Crown Shop Vessel and 10,000 Crowns to boot!!! So here it is!! Your chance to enter and win one heck of a vessel for your Pirate Captain and enough crowns deck it out with the best ship equipment from the Crown Shop! You Include Your FULL PIRATE NAME! And provide the correct answer to our trivia question! Our Contest Day begins NOW 7:30pm eastern Wednesday 06/05 – and will close Saturday 11am eastern 06/08! If you know your Pirate legend and lore; you’ll be able to answer our contest questions. We’ll choose 2 Special Pirates from all entries received! The Grand Prize Trivia Question! Where does the word “Aquila” come from AND where can you find “it” today? This might be a hard one for some. But you don’t need access to Aquila to find the answer. We’ll give you a hint: there’s a story behind the name, look for that and you should be able to find the answers. We’ll email the winners by 9pm est Saturday (if not sooner). We’ll also post the day’s winner (first name only) with their Pirate’s name, here on the Portal. And if you send us a picture of your pirate with your special gift or the item you pick up in the crown shop with your 10,000 Crowns, we’ll post that on the winner’s announcement page too!